A 43 year old female patient arrived for same day surgery at the hospital for an EGD and Colonoscopy. She worked as a nurse at a nearby hospital. My partner started the case and I relieved him near the end. A propofol infusion was used to maintain deep sedation, while versed and fentanyl (2mg/100mcg) were given at the beginning. The case lasted aproximately 40 minutes. The patient emerged from anesthesia without incident and was taken to the recovery area. About 10 minutes later I was called by the nurse. The GI nurse reported that the patient was experiencing severe chest pain. I ordered an EKG and went to see the patient. The patient appeared in severe distress, gripping her chest and moving about in the bed unable to get comfortable. She described the pain as tight, and over the sternum directly in the middle of her chest. She stated that the pain was constant. Her vital signs were normal. I quickly asked a few questions; how would you describe the pain? (gripping/tight), does it go anywhere else? (no), have you had this pain before? (no), Do you feel short of breath? (no). Have you ever had a heart attack or do you have heart disease? (no). She did state that her mother had a heart attack when she was 49 years old, and her husband standing at her bedside related that he had a heart attack at age 42 (he was now 46). This last piece of information was not clinically relevant, but important because he was becoming very anxious and this was being transmitted to her making her even more anxious. The EKG showed that she had prominent Q waves in the anterior chest leads (V1 and V2). This is consistent with an old MI in the anterior left ventricle. She also had a history of severe hyperlipidemia. Nevertheless, given her young age, no history of CAD, no obvious vital sign changes consistent with myocardial ischemia, or other evidence of acute ischemia, I felt that her pain was likely not cardiac in origin. This was backed up by an EKG that did not demonstrate any changes in the ST segment. Of course, severe chest pain after an EGD/Colonoscopy can have other causes. These can include esophageal rupture, aortic aneurysm rupture or exacerbation, intercostal muscle spasm, or acute esophageal spasm. Because the patient complained of severe chest tightness, a Chest X ray was ordered in an abundance of caution to rule out more sinister causes such as aneurysmal rupture or pneumomediastinum or pneumothorax. At this point, with no obvious cause for the patients chest tightness that was obvious causing great distress (the CXR was normal), I suspected that she might have an acute esophageal spasm. a constricting discomfort in the front of the chest, neck, shoulders, jaw, OR arms. Relieved by rest, or NTG, in under FIVE minutes. history of CAD (h/o MI, positive stress test, ongoing Angina, use of nitrates, pathological Q waves on EKG). assign one point for each: Our patient had 0 or maybe 1 point if you count her pathologic Q waves. Class I=0 points and risk of major cardiac event (i.e. MI or significant ischemia) is 0.4%. Furthermore, there is evidence to suggest that there are indeed two groups of patients at highest risk for post operative MI: Those with clinically diagnosed CAD, and those with documented severe peripheral vascular disease. This patient had neither. After getting a clear description of the pain, its onset, and nature, and determining the patient's overall risk status, a quick physical exam can actually be helpful. 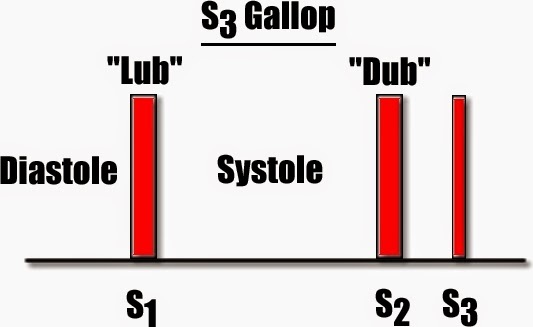 A quick listen to the heart and lungs to rule out rales (indicating cardiogenic shock and pulmonary edema) and an S3 gallop can push you in another direction if they are present. You can also ensure that you do not auscultate friction rubs or new onset murmurs i.e. an aortic regurge murmur that would indicate concern for aortic dissection. At this point, a decision as to whether to order cardiac enzymes and if so, which ones must be made. It is probably reasonable to order these in a patient who complains of chest pain and has significant risk factors (i.e. documented CAD, or 3 or more points on the RCRI) regardless of what the EKG looks like as up to 6% of patients with a normal EKG are ultimately diagnosed with MI. If it seems prudent to order blood work, understand that patients with AKI or chronic kidney disease may have elevated troponins. Furthermore, myocarditis, pericarditis, tacharrythmias, sepsis, and PE can all result in elevation of these enzymes. In addition, a careful history is important, as these enzymes can remain elevated for 5 to 14 days (as opposed to CK-MB which goes back to normal in 2-3 days). Diffuse Esophageal spasm in the perioperative period is not common. There is little in the anesthesia literature on this entity. However, in the surgical literature, a variety of different types of spasms with a variety of etiologies is described. The above patient, if indeed this was esophageal spasm, likely had hypertensive spasm. This simply means that there is not a concomitant motility disorder, but rather, the contractile force of the normal peristaltic motion is extremely high. Effective treatments can include NTG (similar dose to treat myocardia ischemia, nifedipine, and isosorbid). I suspected that this patient had an acute esophageal spasm following her EGD, and therefore did not push to continue her workup after the EKG (even though it contained Q waves in the anterior leads). In the end, the patient received some morphine (not my order); and felt better. I advised her to follow up with her PCP to begin therapy for her hyperlipidemia and discuss her risk factors for CAD. While the drama surrounding the bold diagnosis that saves a patient's life is exciting, often times, being a great physician can be the ability to avoid unnecessary tests; some of which place the patient at greater risk. A good understanding of pre test probability will the anesthesia provider in the post operative setting filter those patients who need more attention from those where less is definitely MORE.